Help us meet our CeleSoirée 2019 goal! 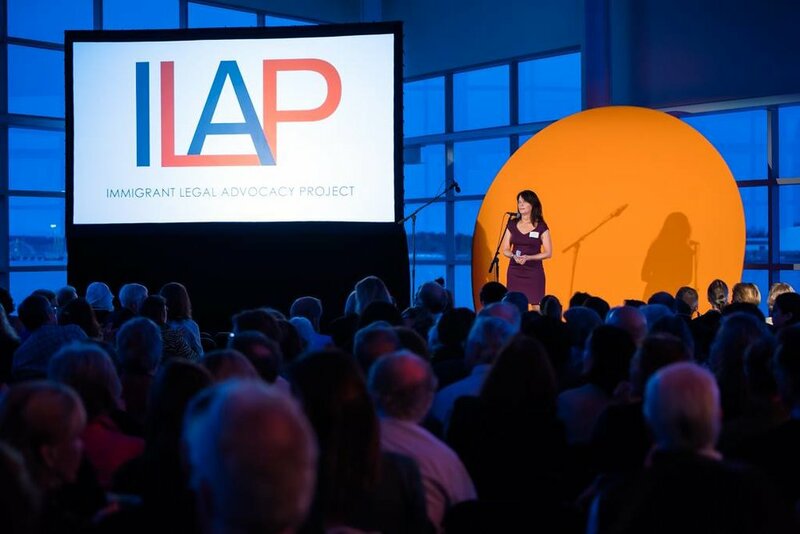 If you weren’t able to join us for CeleSoirée 2019, you can still show your support for ILAP and Maine's immigrant communities. Click the “Give Now” button below and help us meet our goal! CeleSoirée supports ILAP’s direct legal services, education and outreach, and advocacy work throughout Maine. Every year, hundreds of supporters gather for an unforgettable evening that has been dubbed "Portland's Best Fundraiser." Guests enjoy a buffet catered by local immigrant-owned restaurants, a musical performance that highlights diverse cultural traditions, and have the opportunity to purchase tickets for a chance to win one of our high-end raffle items. ILAP is not eligible for most federal funding, which means that funds raised from this event are immediately used to support our programs. Thanks to our sponsors, donors, and volunteers, more than 400 guests attend this event annually. The continued support we receive allows us to better serve our community. When guests purchase their tickets, they are given the opportunity to sponsor a community ticket so that our friends in the immigrant community may attend free of charge. By supporting this event, you show your commitment to ILAP and the work that we do across Maine. Supporting ILAP and celebrating Maine’s immigrant communities!